What...you've never spent some quality reading time on the top shelf of a linen closet? I highly recommend it. A writer I respect once threw down the gauntlet that a skilled designer can’t be an equally skilled writer, and vice versa. Challenge accepted! While we may be slightly harder to find than a herd of unicorns, hybrid designer-wordsmiths do exist, and I would argue that the good ones are good precisely because we use one craft to hone the other. Words are a big deal to me. 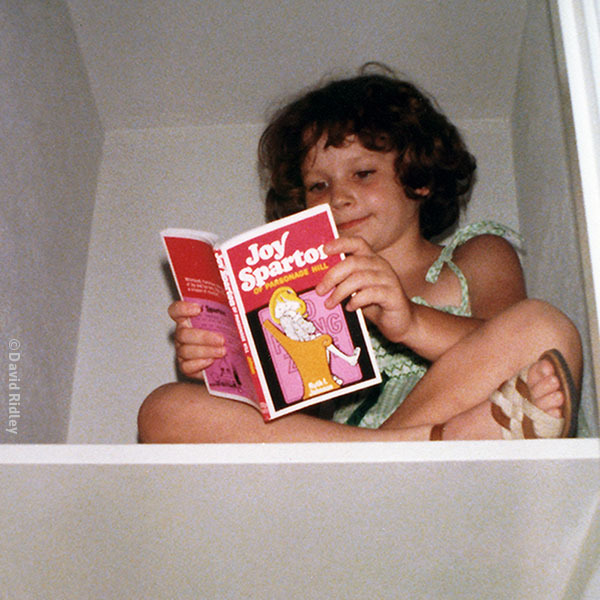 I grew up in a family filled with talented writers and constantly searched for perches where I could read, write, and draw uninterrupted (the tops of trees, the highest shelf in a closet, the back-back of our station wagon, etc.). Graphic design initially interested me in large part because images help activate words. Once I entered design school, studied typography, and gained the skills to effectively pair words with images, I was hooked. Now I could use my writing and design skills to convey information, ask questions, evoke emotions, raise awareness…the possibilities were endless. After graduation, each job I landed gave me more opportunities to create text in tandem with design. The process was invigorating, and my hybrid status was sealed! So, why hire a hybrid? The writer-designer combination is powerful — think writer-director, singer-songwriter, dancer-choreographer — one ability enhances the other and strengthens the end result. Just about everything a graphic designer produces revolves around merging words with images. When you’re partnering with a professional who can do that (and do it well), the creative process is fluid and easy to manage. If the words must change to fit the imagery, or the other way around, I’ll find the smartest way to make the switch. If you need to create an ad campaign from the ground up, I’ll brainstorm the concept, create the imagery, design the layout, and write the headlines and body copy. Crafting your marketing tools with this sort of synergistic approach ensures that your message is clear and consistent with your brand (and that’s important stuff). Truthfully, I don’t mind that not everyone “believes” we hybrids exist. I like a challenge, and it’s a privilege to be part of a rare breed! As a designer-wordsmith, I have the magical ability to infuse my clients’ stories with both style and purpose…and that’s something a unicorn could never pull off.